The Hexagon Collet Ring is made from sterling silver sheet metal. 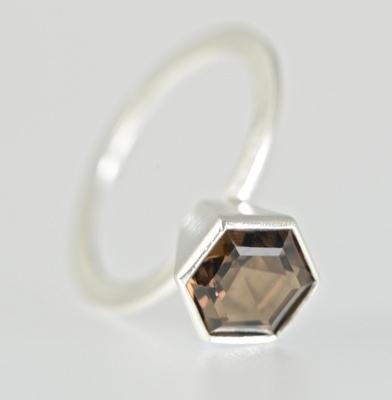 The Hexagon Collet Ring is made from sterling silver. Can also be made with Citrine, Garnet or Peridot.